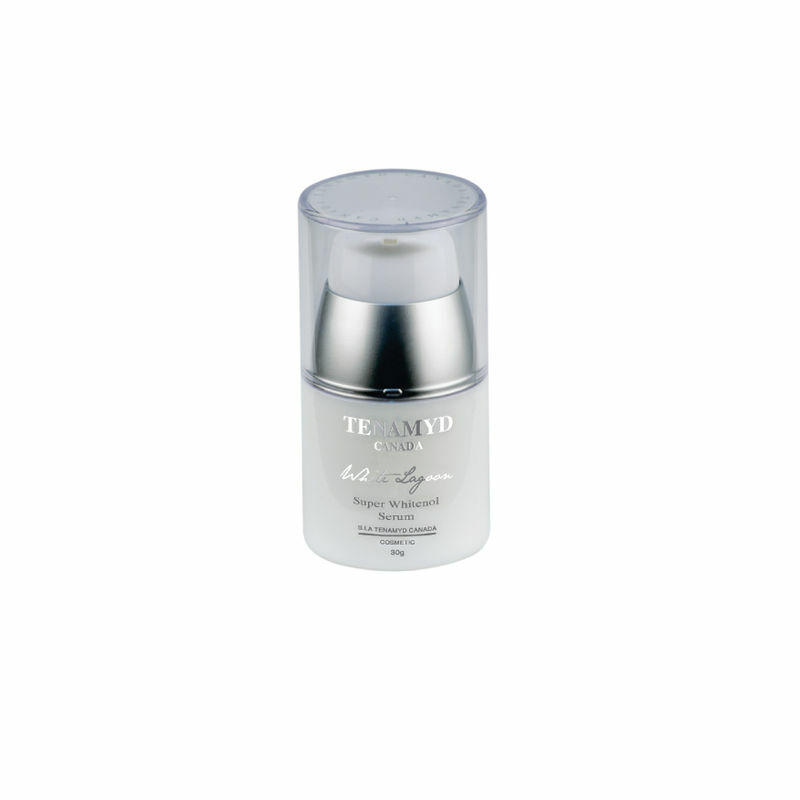 Tenamyd Canada Super Whitenol Serum is a skin lightening serum with sun protection. It contains 4-butylresorcinol which is a powerful melanin blocker. It absorbs quickly into the skin and is perfectly safe for sensitive skin. It maintains the moisture level of the skin and protects it from environmental pollutants. It reduces the appearance of wrinkles and dark spots. It promotes blood circulation and corrects yellow pigments on the skin to give luminous, clear skin. Quick absorbing, skin lightening serum. Reduces appearance of wrinkles and dark spots. Protects skin from environmental pollutants. Clears and brightens skin tone. Explore the entire range of Serums & Essence available on Nykaa. Shop more Tenamyd Canada products here.You can browse through the complete world of Tenamyd Canada Serums & Essence .